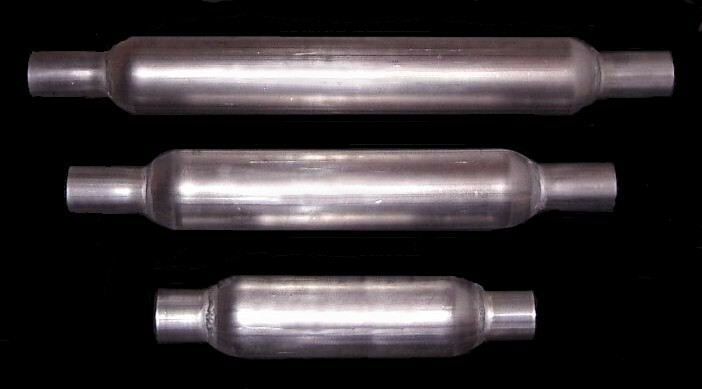 Mellow Tone hot rod mufflers are manufactured of 16 gauge aluminized steel with seamless muffler bodies. Available with glass-pack for a softer sound or steel pack for a crisp exhaust note. Choose from three stock sizes. All mufflers include 2" inlet and outlet. Manufactured in the USA. No special orders.